Like most Saskatchewan citizens I was not watching CSI New York last night but was glued to the TV set flicking between CBC and CTV coverage of the provincial election. Though not meant to be entertainment television, both networks did their best with excellent graphics and animations, but the expert panels and cuts to the various party headquarters were channel flicking time. Clearly, I should not be concerned about the TV show, but about the content and of that, I was so proud to be a Saskatchewan citizen. I do not share the political views of the Saskatchewan Party and there are a lot of things about the NDP that cause me concern, so my view of the election results is a bit ambivalent. But what really caught my attention and made me a proud stubble jumper, was the way the premier and the premier elect conducted themselves. 74% of the eligible voters took the time to cast their ballots in this provincial election and I suspect that this might explain the outstanding respect the party leaders had for the voters of this province. When we look at other provinces like Ontario and the pitiful turn out of voters at election time for our neighbours to the south of us, it is clear that Saskatchewan people did not sit on the sidelines and let someone else decide who should govern them and in response to that, the Premier pointed out that the people of Saskatchewan had spoken and Premier Elect Wall even went further to thank every candidate who was involved in the election and that it was now he and his government's job to work for "all" of the people of the province. That was the good stuff and I think that Saskatchewan voters, no matter who they supported, are satified that this was a fair and just election, and that on November 7, 2011 we will do it again, as the Premier Elect announced the date of the next election in a press conference this morning. Now what does this mean for all of us. The answer is simple, we get the kind of government we deserve. If we vote, then ignore our politicians and what they do, or do not do, we are not doing our part. For us in Tisdale, our new member of the legislature is Fred Bradshaw. He does not and must not, live in a vacuum, but we his constituents, must keep his office informed of what we want, what we don't want and we must maintain an ongoing dialogue, if this political process is going to work to benefit us all. There are some serious realities in this age and politicians and voters must work together to make this not only a good place, but also, a better place. The big issues can not be solved with an election, we still have a massive number of people in Saskatchewan who in the midst of an economic time of plenty, are not participants in that process. The crime rates in Regina and Saskatoon are testament to the serious social problems that face this province and every politician is aware of this tragedy and together, we much work hard toward finding some solutions that will make life in Saskatchewan, better for everyone. 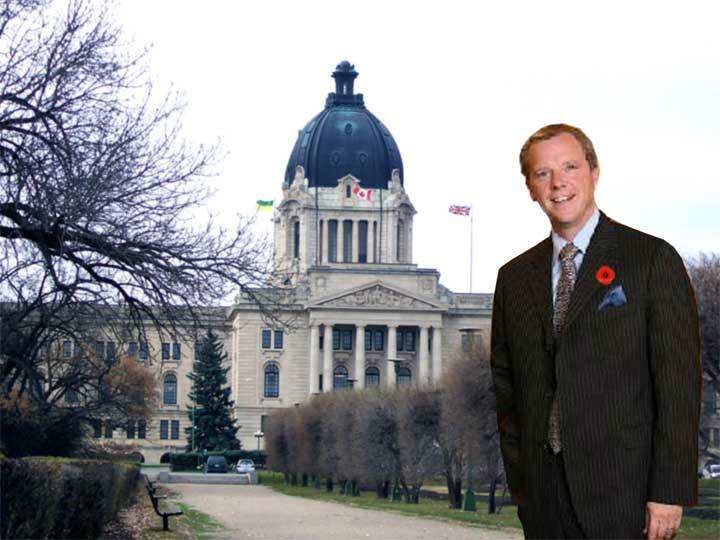 Congratulations Fred Bradshaw and all of the MLAs elected last night, congratulations Brad Wall, at fourty-one you are a breath of fresh air to the political scene and you have some outstanding people to place in cabinet, as well as a sturdy group of experienced people who's job it will be to keep you on your toes, as a loyal opposition. Congratulations Saskatchewan for getting out and voting, now follow up by keeping in touch with your elected representatives.